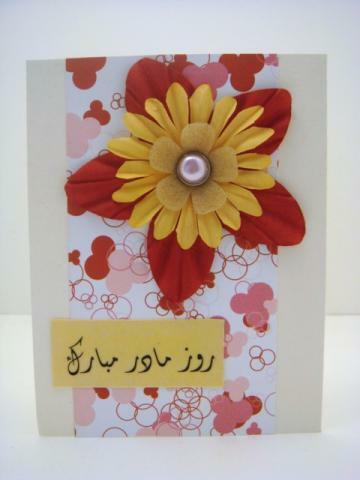 I decided to go into a real business when I couldn’t find anyone else making handmade greeting cards in Arabic, Farsi or Urdu. I like to give handmade items and decided to sell them only after a number of people asked where they could buy the cards I had made them. Yes, I have a studio where I work and create all my craft items. 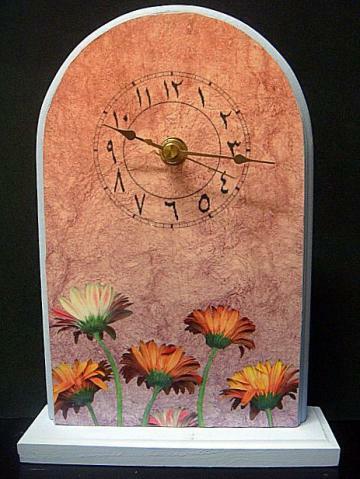 This includes not just my cards, but also my Arabic clocks, buttons and jewelry. The only things I do not do in my studio are my silk screening and sewing, which I do in my sewing room. I have three young daughters and having that dedicated spaces shows them that mom also goes into work just like dad. NV: that’s such an important thing for work at home mom’s to get kids to understand too. Yes, I always note how long each item takes to make to help cut down on hours the next time I do it. Currently I do not pay myself for my work as all my money goes towards supplies to create more crafts. I hope to be able to pay myself in the next year or two after I start earning a profit. I use excel spreadsheets to keep track of my entire inventory. This includes the inventory that is also in my brick and mortar stores. Since my inventory has grown in the last year and a half, I am looking into possibly buying an inventory software program that can help me with this daunting task. I taught myself how to use Photoshop last year, but still use Picnik.com quite a bit to work on my photos. It allows you to upload up to 5 photos at a time and auto-fix them. I find it faster than my Photoshop and convenient, since I can do it from any computer, not just the one I have with Photoshop downloaded on it. Early on, the biggest mistake I learned was not to have enough photos. Zibbet.com(where I sell my items online) allows you to upload up to 8 photos and I do try to use it when I can. Sometimes it’s harder with my cards as there are only so many photos you can take. But I do try to use it with my other items. I wrote an article for the Zibbet community blog called ‘Tips for Improving Your Photographs’. NV: what great tips you provided. And after reading the article I learned a bit more about the personal part of you & I see you are up in my neck of the woods. We live on the other side of the mountains (Cascade Mtns in WA) from you! I encourage readers here to go check out the article. I have sold at carnivals, festival, museums, public libraries, flea markets, fairs, farmers markets, stores, home shows, fundraisers and online. My favorite venue by far is Zibbet. The staff there is amazing and I love that they don’t take a transaction fee for every sale. 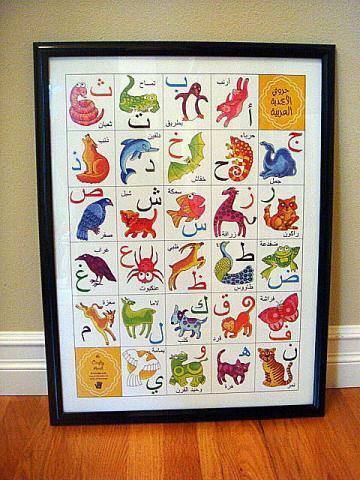 I also sell my Arabic Alphabet Animal poster on http://www.acraftyarab.com. Tell us about how you came up with the way you now display your work. Do you sit or stand? Is it better to have a ‘walk up to’ display, or a ‘walk into’ display? Why? I finally bought some card stands to make my cards look more professional. I tend to sit and always bring items to make while I’m selling as it engages people in conversation “would you like to see this card I’m making?” I used to do walk into displays but stopped when I realized people did not like walking into the cave. So now I push my table all the way to the front to bring the crafts to the people. I have a state and city business license, along with a separate business bank account with its own credit card. The biggest tip I have is to make sure you are legal by complying with all your local tax requirements. NV: I have to second that. Being legal in all ways within your state (or country!) is so important. It might mean a few more expenses at start-up but it means far less surprises & potential headaches later on. How do you handle money & payment processing? Any tips for others? I don’t handle any of the money at the brick and mortar locations; they just send me a check once a month. As far as farmers markets and crafts shows, the biggest tip I have is to always wear your money in an apron or something similar. Things get picked up all the time and you don’t want your money walking out your booth while you were being distracted by someone else. Don’t allow your paperwork to pile up on you. Try to do a bit of it each month so that you are not overwhelmed later trying to figure out what was business related and what was personal. Can you share with us what you do to promote your business, & where? Are you a social networking junkie? Does that work? Do you pay for advertising? Any tips for others? I am a social networking junkie, and it does pay off. I have my Zibbet shop set up on Twitter and Facebook, so when I list an item, it goes directly to those links. I do not pay for advertising only because I cannot afford it at this time. 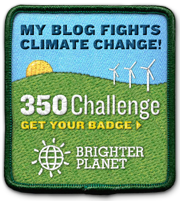 I also blog on such topics as my vacation last year to Egypt and Turkey, Arabic children’s songs and craft tutorials. It gives me another creative outlet without it having to be sell sell sell all the time. My customers keep me motivated. I get so many emails with “I’m so glad you are doing this” and “I can’t find cards like these anywhere!” Without the kind words of my clients, I’m sure I would have given up long ago. I live for positive feedback on my sites and look forward to reading reactions of what people feel once they see the cards in person. NV: Now THAT is some good motivation for sure! Right now my least favorite part is taxes. I am so bad with numbers and look forward to being able to hire an accountant to do all my receipts and such boring (to me!) tasks. My dad is an accountant and I wish I can fly him out across the country so he can help with that part of the business. But for now, I deal with it by keeping all my paperwork and trying to stay on top of it all. Motivation to prove to the outside world that not all Muslim American women wear hijab and stay home. We can also be productive members of American society. I also have a responsibility as a Libyan to show positive images of my people rather then what is seen on TV of the internal battle that is happening right now in Libya. I am also very excited by the recent news that Zibbet.com has added the Islamic holiday 'Eid' to its holiday choices, along with Christmas and Hanukkah. When your online selling community embraces your own holiday traditions, it makes me motivated to stock that category with worthy items that showcase it well. Thank you so much Kay, for giving us such insight into you & your business. I hope all our readers have enjoyed reading about you & seeing your work as much as I have. Keep up the fantastic work! 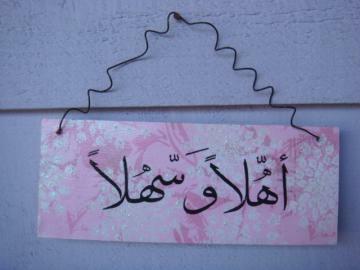 In case you missed her links within the article, here is where you can find A Crafty Arab online. What a wonderful interview - it is awesome to meet Kay and gain greater insight into this very talented woman - who sounds so very well-balanced and grounded! As always, Nicole, you have put together a most welcome "read"! Nice to meet you again, Kay!You have definitely carved a special niche for yourself. Best wishes. It was wonderful to read how you handle your B&M stores and inventory, and also to get to know you a little better. Your strength and determination is something I wish I could do as well as you. You do fantastic work, and it was a pleasure to learn more about you. Thank you for sharing. I am so glad to see you and your wonnderful work highlighted. Now you are a business advisor too! Go girl!! I'm so glad to be able to see your beautiful cards through this nice feature! Another great interview! Love seeing someone who has found a niche and totally rolled with it!